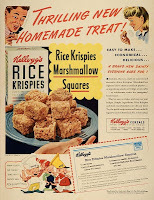 I love rice krispie treats. They taste so good. They are so easy to make. 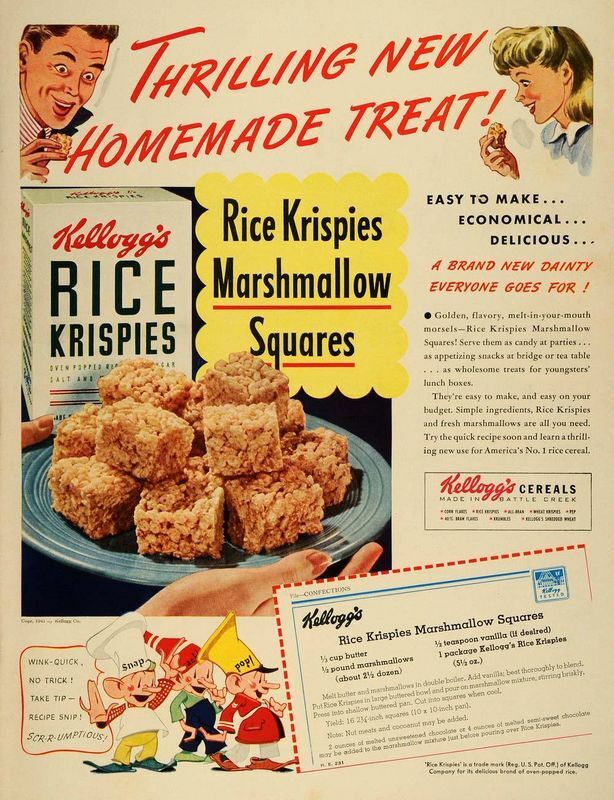 Did you know rice krispie treats were invented in 1939? Two friends were asked to figure out a fund raiser using campfire marshmallows. For Camp Fire Girls. I saw this commerical many years ago. I think about it still. When I notice falseness. When I think about being false. This television clip reminds me. People pretend. They act falsely. They portray themselves. Have you ever wondered why? Why you pretend things that are not true. About yourself. When looking good is important. Most important. Being good becomes fuzzy. What happens? Like looking good matters. Matters more. C. Terry Warner has some great ideas. Ideas about pretending. About being false. He calls it self-betrayal. "Self-betrayal, which is my term for the pivotal act by which we indirectly choose our way of being, captures what was once in more traditional terms meant by the word sin. For those who understand its meaning, sin suggests something about our being. Because this act of sin or self-betrayal, properly understood, alters how we are, we do not simply act falsely when we betray ourselves or sin; we are false, false in our being" (Warner, 2001, p. 48-49). This is cool. This makes me think. Ponder and it can change you. It has changed me. I find I am more honest. With myself. With others. I search. Where is my heart? I like knowing. I like not pretending. I like changing my heart when it is false. When it is not right. Warner continues with the concept of sin. "It lays responsibility for the kind of people we are becoming squarely upon ourselves and therefore challenges us, without tact or subtlety, to examine ourselves" (p. 49). Examine myself? My life. I want to do that. I like it when I do that. Be honest. With myself. With others. Do you ever think avoiding works best? Sometimes. Maybe. Terry explains, "This idea can be frightening when not adequately understood. Who wants to face up to the fact that they have themselves to thank for their present muddles and messes? Yet this idea is key for solving the deepest and most difficult problems that we struggle with from day to day" (p. 49). Here are 2 more commericals. Click here and here. In these videos we see the same behavior. Both women. Doing the same thing. Making treats for the family. We see something different too. Their way of being. Hmm. Does our way of being matter? Our heart. 1 Samuel 16:7. Here is a good place to practice curiosity.